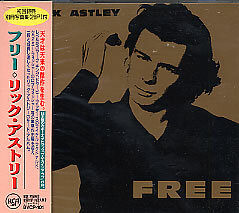 Comments:By 1991 Mark King and Stock, Aitken and Waterman protegee Astley were RCA stablemates. King wrote two tracks, Be With You and Really Got A Problem but isn't credited with playing on either. King has said in interviews that Astley visited him on the Isle of Wight to record some tracks. Whether or not it's these two is up for detabe. Astley was a Level 42 fan as a teenager and once produced a replica of the Level 42 lady from the first album cover as part of an art project!